Hey Coffeeholics! Let's make this year the best year ever by being involved in something bigger .. something better! Last 2013 proved to be a very challenging year for the Philippines. But through the difficulties and calamities, we showed extreme resilience and strength, which was witnessed and admired by the world over. 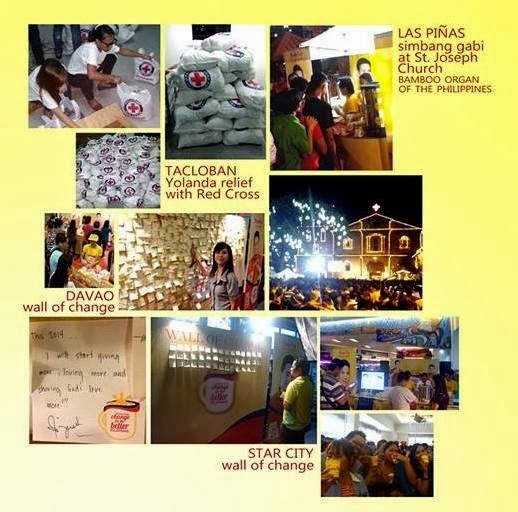 As we face 2014, Krem-Top wishes to encourage every Filipino to create greater and more postive changes in their lives. Together, let us all strive for a better Pilipinas. How can we make a change? It can be big or small. It can start right here at your own home, school, or in a far away place. I mean who doesn't want a better country right? We can start making a change through small things like proper waste disposal. Honestly I find it so irritating when I see people just throw trash out the window while commuting. Its these kinds of waste which causes clutter and stoppage in our drainage and flooding in our streets. I'm making it a resolve to throw my waste/.trash properly. 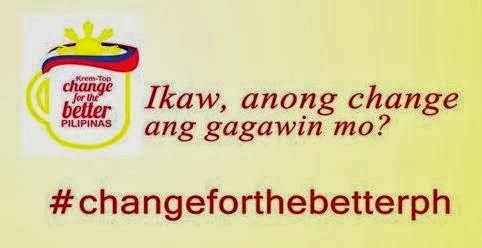 Its a small thing to do but if it can help make a better Pinas why not diba? To reach my quota sales! I want to be fit by working out and following a healthy diet. Yay thanks everyone for joining! Looks like you all got some awesome goals sa 2014. Maraming may goal na lose weight.. amen! haha. Meron din gain weight! Wow good for you. And meron naman talagang nakakainspire na goal. Share nyo yan! Push nyo yan! hehe. Hope you all achieve your goals this 2014!